Exercises to improve bone density, increase energy, and circulate the life force energy. DVD includes three workout options: Extended (33 mins), Long (25 mins), or Short (11 mins). The healthy human bone is as strong as granite. As we age, bone density goes down and the health of the bones is compromised. And every second the bone marrow produces two million red blood cells. The bones are amazing pieces of anatomy, essential for supporting structure and movement as well as circulation of the blood. It is well documented that weight bearing exercises have great benefit to the the bones later in life. 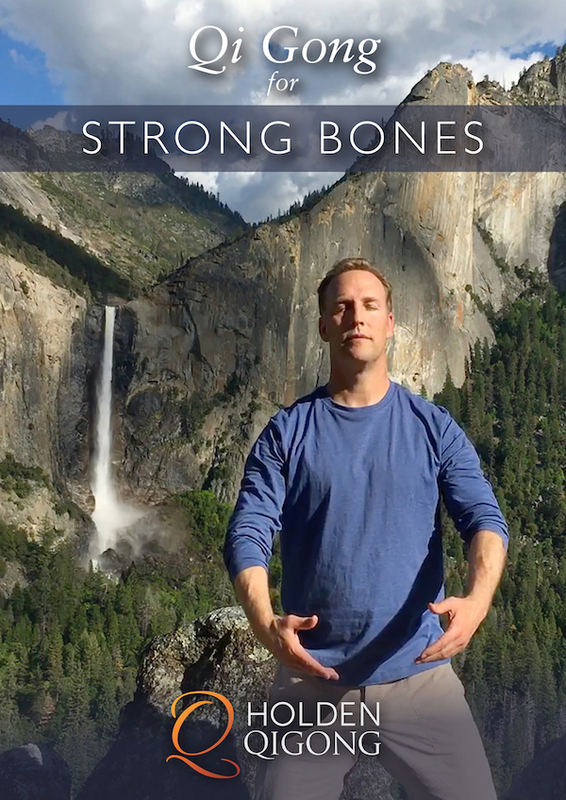 This Qi Gong routine strengthens the bones and creates healthy energy through the whole body. In Chinese medicine the bones were seen as energetic storage areas. The bones represented deep vitality and health.